Are you ready for our new event? You should be. We will be meeting at the Széchenyi square "Center" in front of the horse statue , at 14:00,( 2 Pm) . 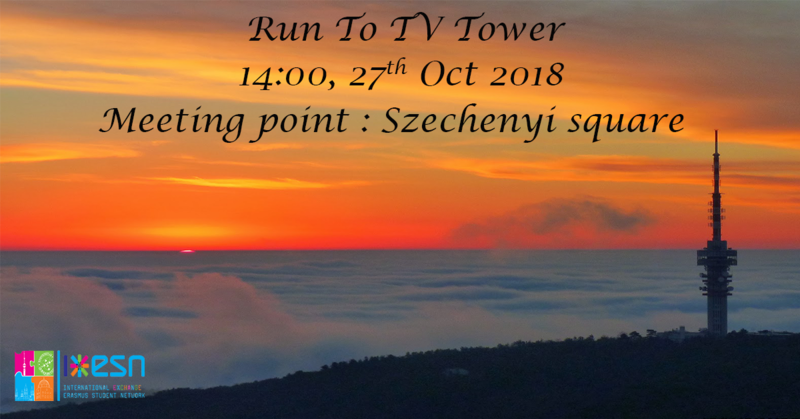 Then we will be going directly to the TV Tower. Up there you can see a magnificent view of the beautiful Pécs, it's considered as the highest point climbing up the tower in Pécs. 950 Ft with an ID STUDENT CARD.